Faiz Ahmed Faiz was and continues to be one of the most popular and iconic Urdu poets of the Indian subcontinent. Since his death in 1984, the interest in his ideas and work has only grown, and the ideals that underlined his poetry – love, freedom, justice and hope – continue to inspire people all over the world. In this wonderful book, with a biography by Faiz's grandson Ali Madeeh Hashmi and translations of fifty – two of his poems by noted Pakistani writher Shoaib Hashmi, Faiz's life and verse come alive as never before. While the biography, incisive as well as affectionate, captures the key moments of Faiz's life, the translations capture the spirit and flavour of Faiz's poems. A visual treat, with rare pictures from the family album and letters written by the poet, this tribute to Faiz in his centenary year is a collector's delight. Translation is a tricky business under the best of circumstances. It is difficult and convey the essence of a literary work of art in another language, especially one that is culturally and ethnically dissimilar. This is especially true of the delicate art of poetry, which is, definition, culture bound. The Urdu expression, kooze mein darya band kama ("capturing a river in a cup", itself demonstrative of the difficulty of translation!) Is emblematic of poetry. Unlike prose, which allows some leeway for explication, poetry is a much tighter form of expression that relies on simile, metaphor and nuance, and thus assumes much familiarity with symbols. It is almost impossible to translate poetry compactly and capture the essence of the original. Any attempt to explain makes the translation unwieldy and awkward. If one tries to circumvent this problem by concept substitution, it results in 'transcreations', which are not translations but rather jumping-off points for new creations. Despite all this it was Johann Wolfgang von Goethe (1749-1832), considered by many to be the most important writer in the German language, who said: 'Say what you will of its inadequacy, translation remains one of the most important, worthwhile concerns in the totality of world affairs'. This book is yet another attempt render the beauty of poetry in a language that is not its language of origin. 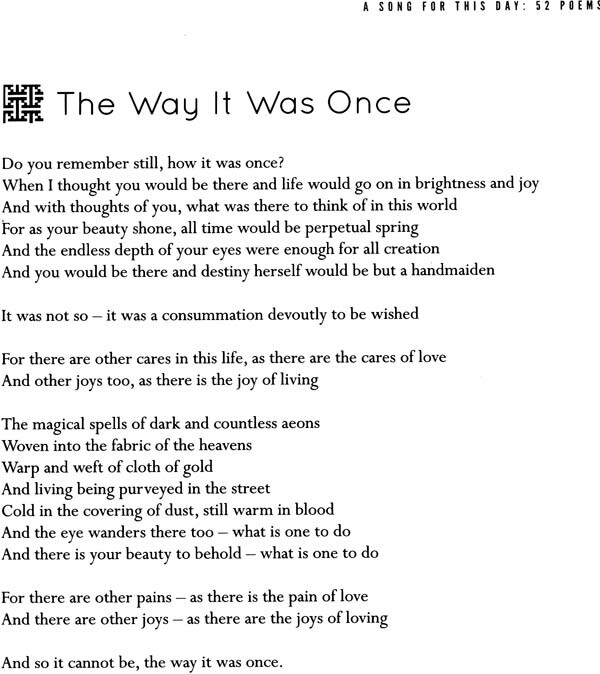 In a way, Faiz is a good poet to experiment with. He himself never minded people translating his work (and, on rare occasions, tried his hand at it himself, most translated poets of the modern era. He has been translated into English, French, German, Arabic, Russian, Swahili, Danish, Polish, Hindi, Kannada, Marathi and numerous other languages. One reason for this is the immediacy of his subjects. Faiz lived in the twentieth century and we are still close enough in time to the great events of that era to find them resonant. Another was the simplicity of his language. Even though he was trained in classical Urdu, Persian and Arabic, he chose to write in a style much simpler than that of his great predecessors, Iqbal and Ghalib. As a result, his best-known poems are easily understandable for most people. Yet another reason for his popularity is the universality of his themes. Very early on in his life, for a number of reasons that are outlined in the biography preceding the translations in this book, Faiz chose as his muse the struggles of common working people against oppression and injustice. This was a conscious decision on his part and he maintained this stance throughout his life. He did not reject the symbolism and metaphors of earlier eras. Instead, he adapted and moulded them to fit new concerns that were relevant to his time and are, in many ways, timeless. This explains the continuing popularity of his poetry. Writing a biography is never easy. The writer naturally begins with an opinion about his or her subject and this colours the material he chooses to present, whether positive or negative. Remaining 'impartial' is an admirable goal but rarely possible in practice. Depending on the writer's likes or dislikes, the writing can veer into sentimental hagiography or malicious character assassination. Trying to remain studiously 'neutral' will make the writing bland and lifeless, if not outright boring. In addition, a biographical essay or even a full-length book can never capture the full essence of any one person in all his hues, especially if, like Faiz, the person has lived a life teeming with events of historical significance. The writer must, of necessity, focus on some aspects more than others. If one has a personal or family connection to one's subject, avoiding the pitfalls outlined above can become all the more difficult. 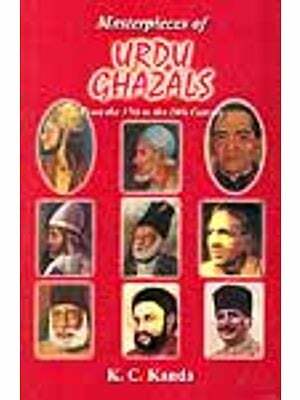 The biography that covers the first half of this book is an attempt to encapsulate the life of Faiz. It is not an exhaustive document but a 'bird's-eye-view' of his life, trying to capture the high points of his life and his work. 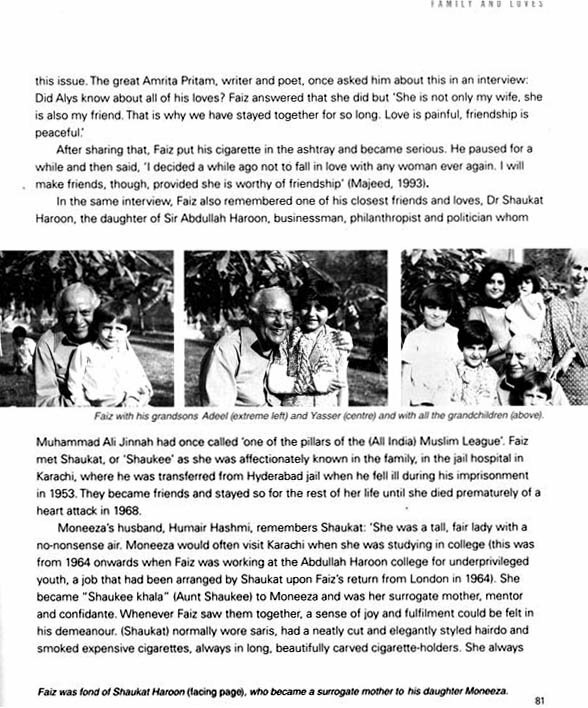 faiz often described himself as a 'humanist socialist'. He adhered to the principles of socialism but not to the point to 'excluding' others. In addition, he belonged to the generation in whose mind the partition of the Indian subcontinent was a reality nota as fixed and unchangeable as for later generations. Also, unlike Pakistan, where he was heavily censured by successive autocratic government, the relatively open political atmosphere in India, especially towards' left' ideas, helped disseminate his works even more widely there. As a result, interest in his ideas and his work remains deep and abiding in India as well as in Pakistan, where he is now more 'mainstream' and his poetry is part of school curricula. 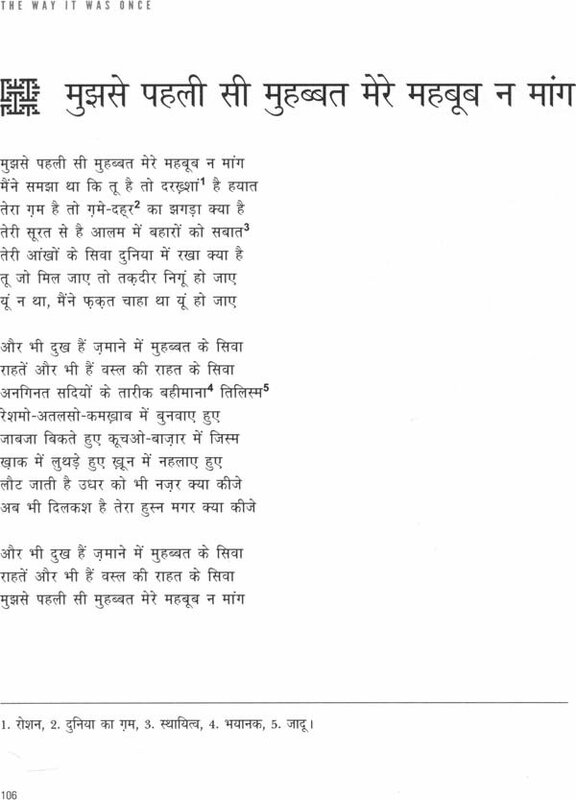 The translations of his poetry in this book are not literal nor academically accurate as the translator, Shoaib Hashmi, has admitted in his disclaimer. They are attempts to bring to the reader something which 'gives immense pleasure' and induces 'the irresistible urge to share it with others'. Shoaib Hashmi has described the same difficulties in translation outlined above and he has also described his attempted remedy, that is, to 'capture the hue that pervades a poem'. For bilingual readers who can understand the poems in the original language, many of these translations will appear to be 'transcreations', and that is as it should be. Who is to decide what an authoritative translation is? Fortunately for us, there are few people in the world more eminently suited to this task than shoaib Hashmi. As Faiz's older son-in-law, he spent a vast amount of time in Faiz's company. He is also a man of the arts and media who, in the 1970s, created some of the most popular satires (such as Such Gup and Taal Matol) in the history of Pakistan Television. He has been a teacher, a writer, a journalist, a media man, a theatre writer and director, and many other things besides. He of all people, is quite well suited to decide what is the 'hue that pervades a poem' from the standpoint of the poet himself.